Women’s Rights 360 is an interactive virtual field trip created by the ThingLink Education team last year to help teachers and students discuss the complex topic of global gender equality and women’s rights in the classroom. We invite you to explore, modify and create a ThingLink 360 Virtual Field Trip. Travel across the world and learn about education, healthcare, and social justice, as well as women’s economic and political participation in each country. Look around and click on the icons to activate audio narration. Use the arrows to travel from one country to another to learn about women’s rights across the globe. ThingLink allows users to Clone a360 image on our platform to make a copy of it for modification and reuse. This feature allows users to add a question, present new information, and require students to dig deeper into ideas. They can even remix the images to tell their own stories. In this quick example, the original 360 image was Cloned and two tags were added. This quick modification allows educators to use the content to meet your own learning goals. Start by clicking on the Question icon, then click on the Form icon to see how input can be added directly to a 360. 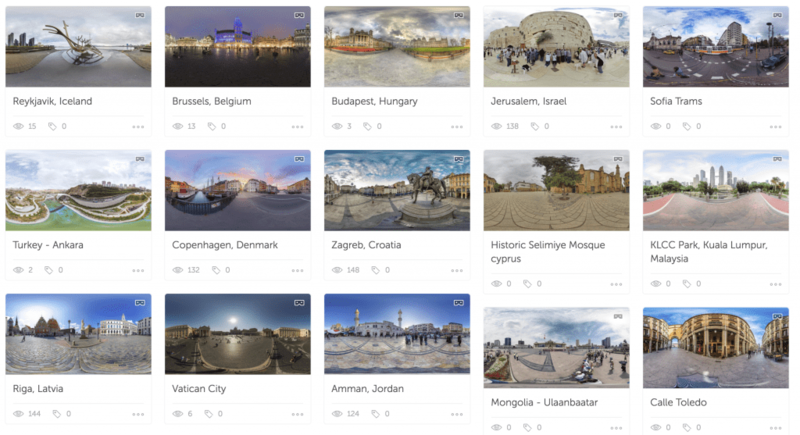 We’re creating a collection of professional, high-quality images for our users to tag, and we started with 360 photos of international capital cities, perfect for exploring global issues. Find many images for use in our Teleport Library, or search for images created by our community members for reuse on ThingLink.com. We love to share ThingLinks created by our community members and our goal is to inspire educators with examples and stories from the classroom. Please consider submitting your designs, lessons, and activities to be featured on this blog. We’re happy to award you the opportunity to select a 360 image for use on our platform in exchange for sharing..